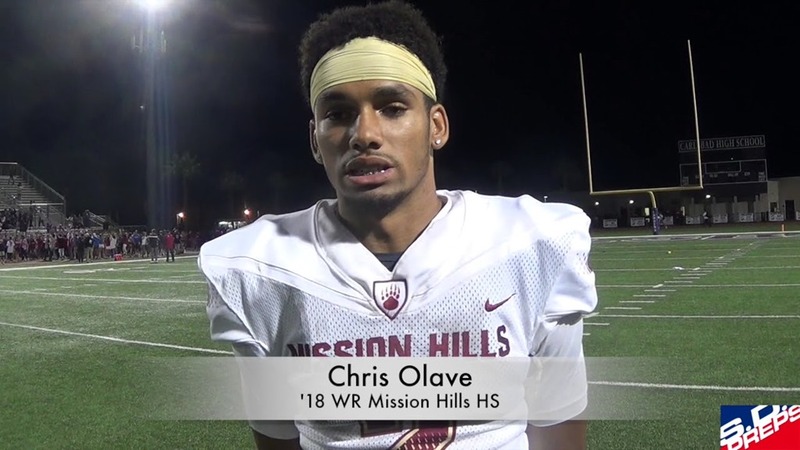 Chris Olave, the four-star receiver, is the latest recruit for the Ohio State Buckeyes 2018 roster. He is the 54th receiver in the nation and the 24th recruit for Ohio States 2018 season. He will join ranks with L'Christian Smith, Kamryn Babb, and Cameron Brown, the other four-star players that are part of the 2018 recruiting class. One might wonder why Ohio State chose to fill another receiver position. With five other players already slated for the receiver position, it seems as if this is a saturated position. This might be true of the current year, but the decision was made to prepare for 2019. In 2019, the Buckeyes will lose seniors, Johnnie Dixon, Paris Campbell, and Terry McLaurin. Making matters worse, Ben Victor, K.J. Hill, and Austin Mack are all juniors that will be eligible for the draft depending on their season. Even though these players are still juniors, it is feasible, that if offered a chance to go pro, at least one will take that offer. So, if you do the math, this is a good way to prepare for the potential 2019 losses.